Hell was full of the souls of children. They were made to sing merry school songs, chained to desks. They were drilled by tormenting demons in gray clothes with spectacles and fangs and rulers that beat wrists until hands dropped off. 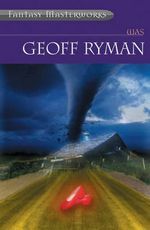 Geoff Ryman's WAS is perhaps the black sheep of the Gollancz Fantasy Masterworks list. Unlike every other book that was republished under this banner, WAS contains no overt or even subvert "fantastical" elements to it. Instead, it is more a story about how fantasies can shape people's lives. But even that barely gets at the heart of this rather "mundane" tale. WAS contains three main threads. The first is set in Manhattan, Kansas in the 1880s and revolves around Dorothy Gael, presumably the main influence for Frank Baum's original Oz stories. While there is a Toto and an Uncle Henry and Auntie Em, Dorothy does not lead a happy life. Orphaned at the age of five and condemned to a life of harsh mistreatment at the hands of her aunt and uncle, Dorothy becomes a painful figure to read. I had to stop reading at times because it was getting too close to my professional life (working with abused and troubled male teens), because Ryman did an excellent job of showing how such abused children often will flee into an imagined world in which they yearn for a release from the toils and trammels of everyday existence (not life, as for some, "life" has "died" when the traumas began). The climactic part of this thread is when Baum comes to meet Dorothy and he takes her misery and her almost-crushed hopes and he spins something from that to give back to her to cherish. The second thread concerns Jonathan, a horror actor and The Wizard of Oz aficionado who is now dying of advanced AIDS. Jonathan himself comes from a troubled background and he finds himself wanting to know in his dying days just what can be found over the rainbow, whether or not Baum's Dorothy has a basis in real life. While his thread is not as painful to read as the Dorothy Gael one, there are certain uncomfortable moments about how Jonathan's own fantasies are both sustaining him and driving him deeper into a form of madness. The third and unifying thread belongs to Bill, Jonathan's therapist, who also happens to have encountered someone else with a deep connection to the world of Oz. Bill's cheerful approach to life, tested many times (as seen in one important flashback), serves to bind the threads together in a way that illustrates how fantasizing can be a consoling and healing process. His thread, although by far the shortest of the three, serves to balance out the raw emotions of the other two threads and to help fashion an ending that while true to the notion that fantasies are not "real," appears to provide some form of reconciliation between Desire and Reality. Is WAS worthy of being called a "Fantasy Masterwork?" Only in the most broad, vaguest sense. In many ways (the author's afterward is pretty explicit about this), the book was written to showcase the perceived conflicts between fantasizing and everyday reality and how the former can have deleterious (and occasionally meloriating) effects on the latter. Yet despite the author's attempt to wrest interpretation duties from the reader, I found the book to be engaging and thoughtful on several levels. The three threads did mesh well at the end, even if the first half was hard to follow the connections at times. The characterizations hit a little too close to home for me, but I do not regret having read such painful passages. But for me, this book does not sit well next to the genre fictions surrounding it on the Gollancz list. It is at least near a masterwork in terms of prose, chacterization, and thematic development, but the themes just seem to be at such odds with those contained in the other 49 books of the Fantasy Masterworks list that I am uncertain if many genre-mostly readers will warm to this novel as much as I did.